Charlotte Brynn, Executive Director of the Vermont Open Water Swimming Hall of Fame explains, “The mission of the Vermont Open Water Swimming Hall of Fame is to recognize those Vermonters and those with substantial connections to Vermont who have achieved greatness in the open water and those who make significant, awe-inspiring contributions to their success." 2. Contributors including pilots, crew, kayakers, coaches, etc. She officially announced 2019 Vermont Open Water Swimming Hall of Fame inductees today. "Jennifer Dutton, Kristian Pearson, Peter Channell and Geneve Channell have paved the way for the continued growth and longevity of open water swimming in Vermont through their contributions and achievements in open water swimming in Vermont and lakes, rivers and seas around the world. We applaud their commitment to the sport, to their passion for mentoring and encouraging newcomers and supporting current events, new swim courses and the search for new challenges." Jennifer Dutton is a 49-year-old marathon swimmer has been marathon swimming since she was a teenager. With a 30-year career, she is both a veteran and trail blazer in the sport. She did her first 8-mile swim across Lake Champlain in New York while she was still in high school and shows no signs of slowing down. 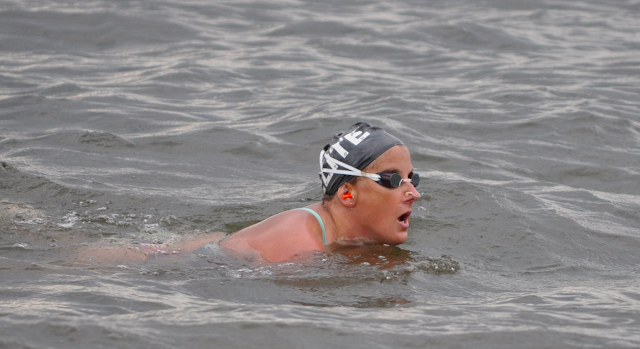 Dutton is a long-time participant in the annual NEOWSA Kingdom 10-mile Swim. In 2012, she completed In Search of Memphre swimming the 25-mile length of Lake Memphremagog in just over 15 hours. Since then, Dutton has completed several 25 km Border Buster swims in Lake Memphremagog, Vermont and has been a fixture on the long distance open water scene in New England and beyond, completing several impressive swims in excess of 30 miles, including an unprecedented 34-mile ABC swim of Lake Keuka in upstate New York. 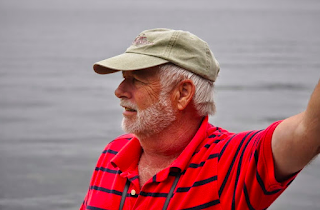 Dutton has completed spectacular swims: first across Torch Lake in Michigan, a gutsy crossing of Lake Tahoe, solo Lake George, a 30-plus-mile Cayuga swim and many others. She does it for herself, not for accolades and with a quiet authority. Dutton also has a deeply personal connection to Vermont. She has family living near St. Johnsbury, and she makes regular visits to the state to swim and visit. 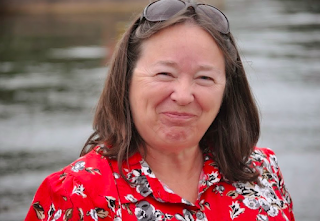 Dutton also leads as one of the best high school swimming coaches in New England and as a masterful masters swimming coach freely and quietly sharing her love and devotion to the water with many other people helping dozens of other swimmers achieve great things in Vermont waters and beyond. 40-year-old Kristian Pearson of Newport, Vermont, 69-year-old Peter Channell and 65-year-old Geneve Channell of Stanstead, Quebec, Canada together have been the muscle, the wheels, and the organization behind all of NEKOWSA’s swims from the very first Kingdom Swim in 2009. They have been contributing to these swims as they have grown from 1 day to over 15 days, from 1 lake to 8 lakes, from 1, 3, and 10 miles to 25 miles and everything in between, and from 100 swimmers that first year to several hundred each year. These dedicated, hard-working and caring contributors are the first to arrive, the last to leave and carry the warmest smiles open water swimmers and kayakers could hope to see. Ten years. 80 swim events cumulatively totaling 752.8 miles. They’ve been at the core of it all. True unsung heroes.